The Note checker keyring with logo from the keyring department here at Calendar Lady Promotions is a metal torch style keyring with an ultra violet light that detects counterfeit money. With laser engraving of your personalised details. So have your business details and company logo laser engraved onto our Note checker keyring with logo and give them out to your staff so that they can check every note, and help to promote your business. So advertise your business details upon our Note checker keyring with logo today! To find out more about our Note checker keyring with logo click here and fill in the contact form and we'll get straight back to you. 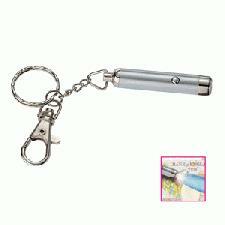 Other promotional and personalised items besides our Note checker keyring with logo click here.